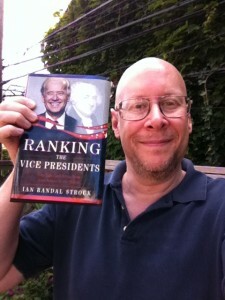 This time, I wasn't surprised by an unexpected advance copy of the book. Rather, I'd ordered some copies to have them here for a launch party I'm hosting. 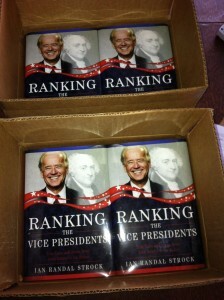 So when the box showed up, with the side labeled in large letters "RANKING THE VICE PRESIDENTS", I pretty much knew what was going to be inside. Nevertheless, I'm very excited to announce the arrival of my newest book (official -publication date is still August 16th)!